It is a powder pact that gives a natural makeup finish to the skin. It last throughout the day and gives a radiant effect to the skin. Using the puff provided, gently apply the powder onto your face. This Korean Makeup product can help you have a perfect photogenic face in just one quick application.. 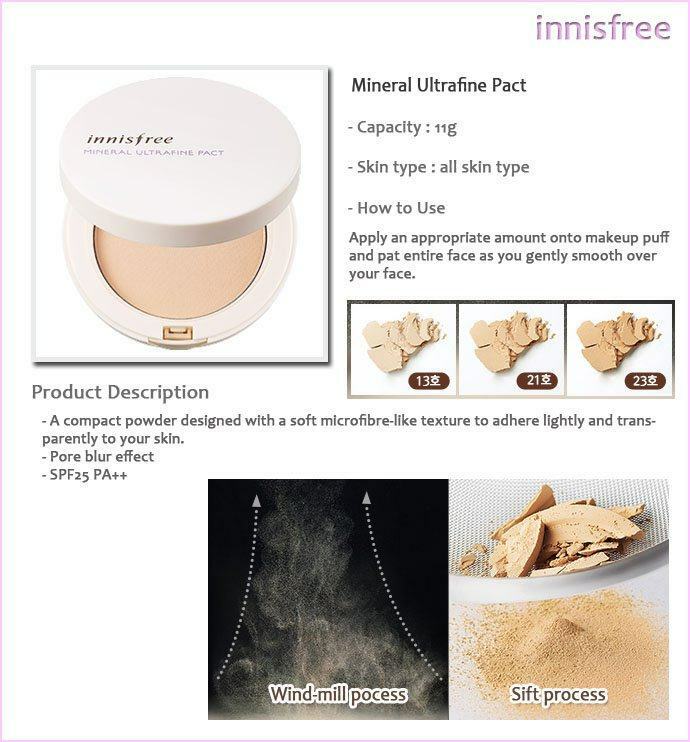 The exclusive Innisfree No Sebum Mineral Powder is a 2-way cake & cushion. It is a natural mineral s..